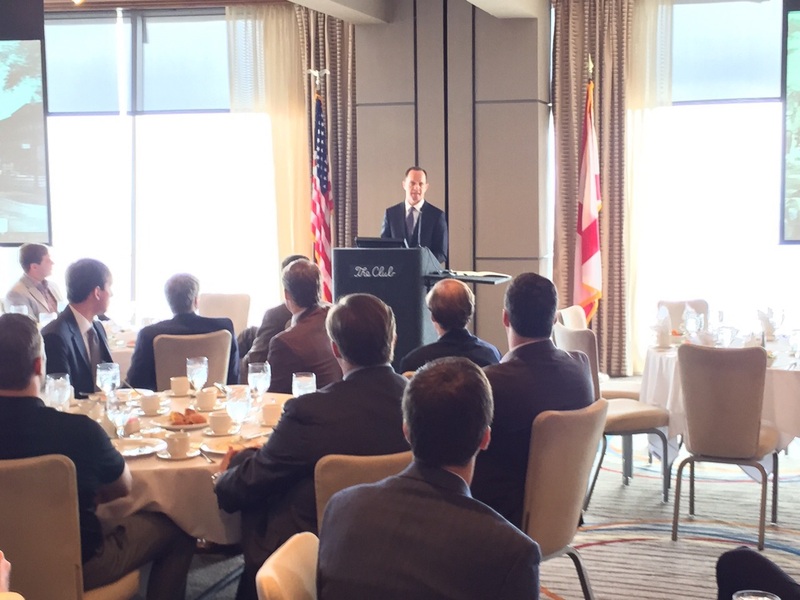 It was a privilege to host Jay Grinney, President and CEO of Healthsouth, as our speaker at the Phoenix Club lunch at the Glenn Iris Room at The Club on March 19th. Mr. Jay F. Grinney has been Chief Executive Officer and President at Healthsouth Corp. since May 10, 2004. Mr. Grinney served as the President of Eastern Group of HCA Inc., from May 1996 to May 2004 President of the Greater Houston Division from October 1993 to April 1996 and Chief Operating Officer of the Houston Region from November 1992 to September 1993. He served as the President of Eastern Group at HCA Holdings, Inc. From June 1990 to November 1992, Mr. Grinney served as the Chief Executive Officer and President at Rosewood Medical Center, a 235-bed hospital in Houston, Texas. He held several executive positions during a nine year career at the Methodist Hospital System in Houston, Texas. He has been Director at Alabama Gas Corporation since January 01, 2012. He has been a Director at Energen Corp. since January 2012 and Healthsouth Corp. since May 10, 2004. In the Birmingham community, he serves on the boards of the Public Affairs Research Council of Alabama, the Birmingham Civil Rights Institute, and the Birmingham Business Alliance. Mr. Grinney earned his B.A. psychology at St. Olaf College, an M.H.A. at the Washington University School of Medicine Health Administration Program and an MBA from the Washington University Graduate School of Management in 1981. © 2019 Phoenix Club of Birmingham Alabama.